From very early on in life kids learn that one thing follows another. 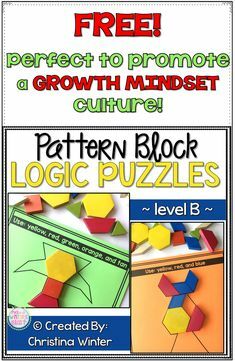 Young children come to recognize patterns and routines that help make the world more predictable for them. Parents establish routines at home for bedtime; first we brush teeth, then we read a book, and finally lights out! (it’s that easy, right? ?😉) Teachers set routines for the school day so students know what to expect and what is expected of them. As educators we can build on this innate understanding of routine and order to help teach our students the important literacy skill of sequencing. 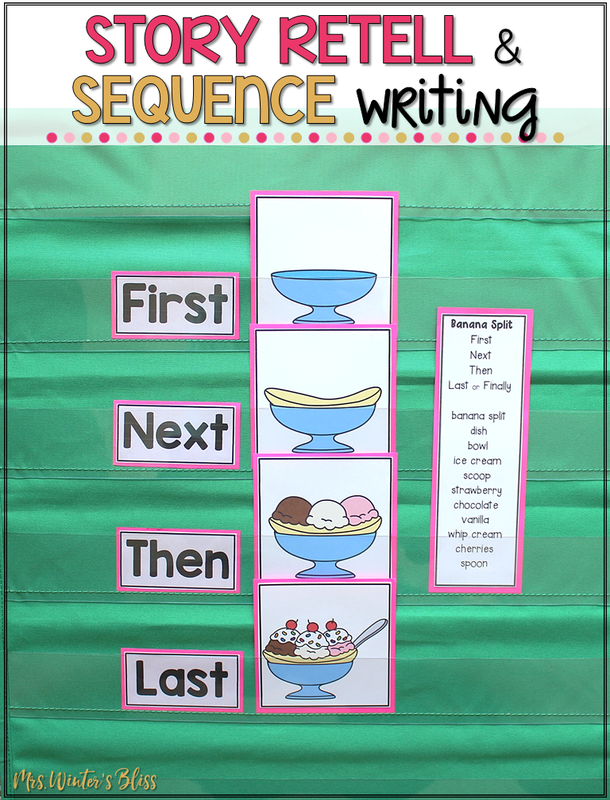 Read on to learn how I teach sequencing skills through oral language and writing activities. 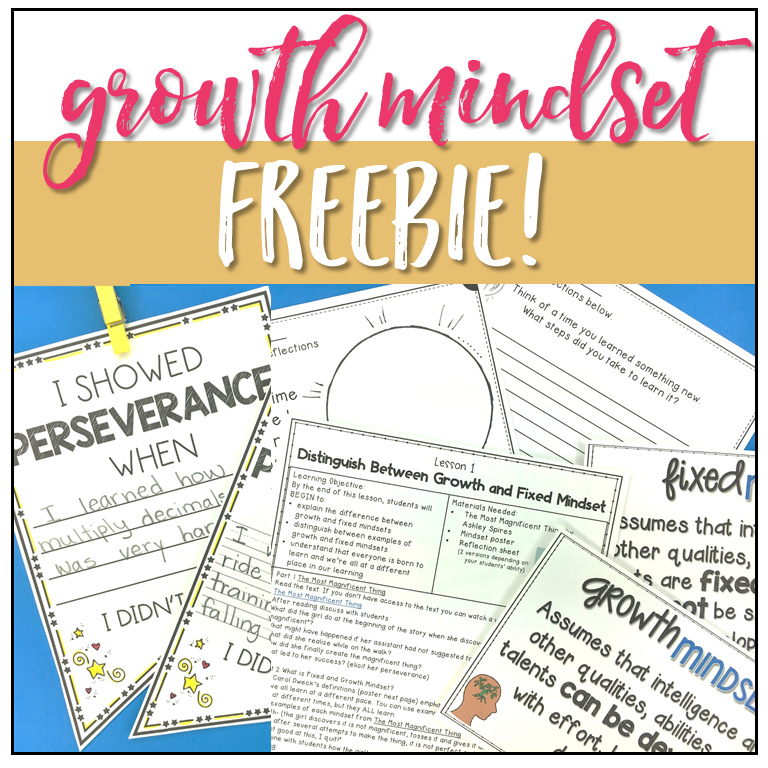 Make sure to download the freebie at the end of the post so you can try these ideas with your students! Sequencing refers to the identification of the components of a story or event— the beginning, middle, and end — and also to the ability to retell the events in a text in the order in which they occurred. 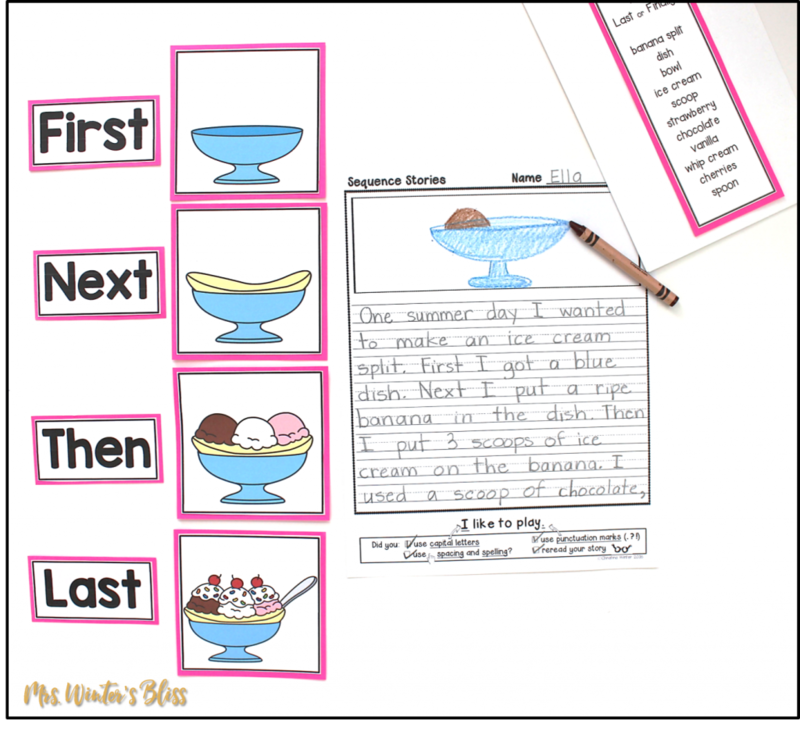 The ability to sequence events is an important skill for both reading and writing. Teaching readers to understand the importance of order of events helps them deepen their comprehension. The ability to correctly identify beginning, middle, and end allows readers to retell a narrative in a manageable way. When students begin to write stories their ability to form a plot depends on the understanding that events happen in a specific order. In addition to narratives, readers and writers of how-to and procedural texts need strong sequencing skills. These types of texts require a person to read and follow steps in a specific order to get the desired outcome. 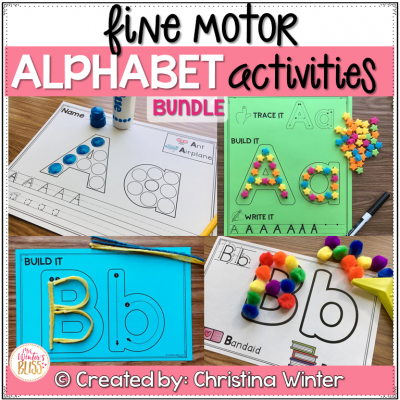 Even as adults we put our sequencing skills to test when we follow a new recipe or read an instructional manual for how to build or fix something. Sequencing is an important skill in all subject areas. In science, kids need it to perform the steps in experiments, observe changes, and understand how and why things change over time. In math, computation problems often follow a certain order. Social studies, particularly history, uses sequence of events to make sense of why, what and when events took place. Finally, we need sequencing skills to talk about something that happened in the past in a logical manner so others can follow the story. Check out this quick video to see how these primary children use their sequencing skills to show comprehension and retell stories. It’s a fun video to show students too! I like to introduce new units of study with Brain Pop Jr. (paid subscription) videos to give students an overview of the new learning. 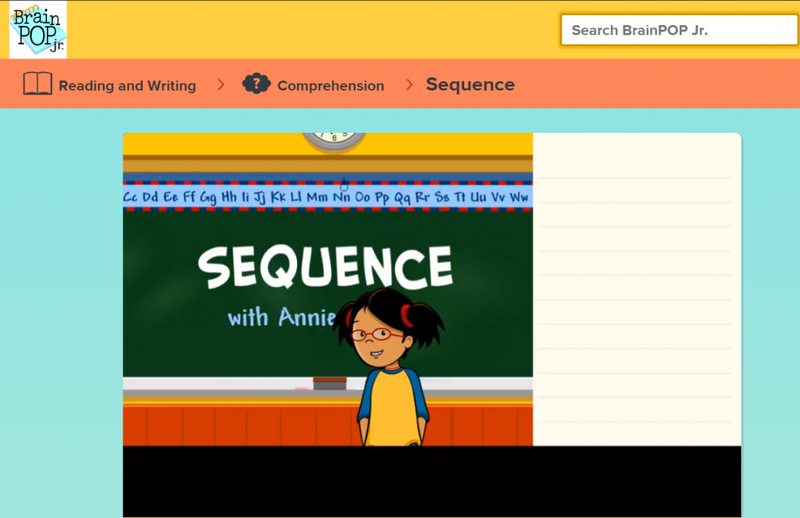 Click the image to check out how Annie and Moby effectively share the comprehension skill of sequencing. 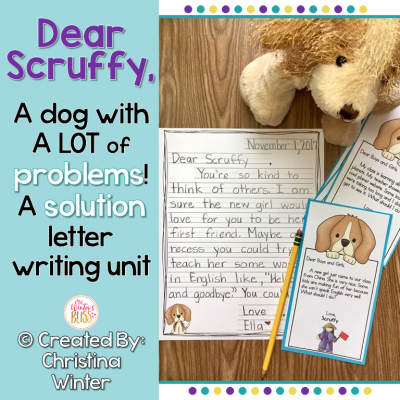 In this movie, students learn how to identify sequence in different types of writing. 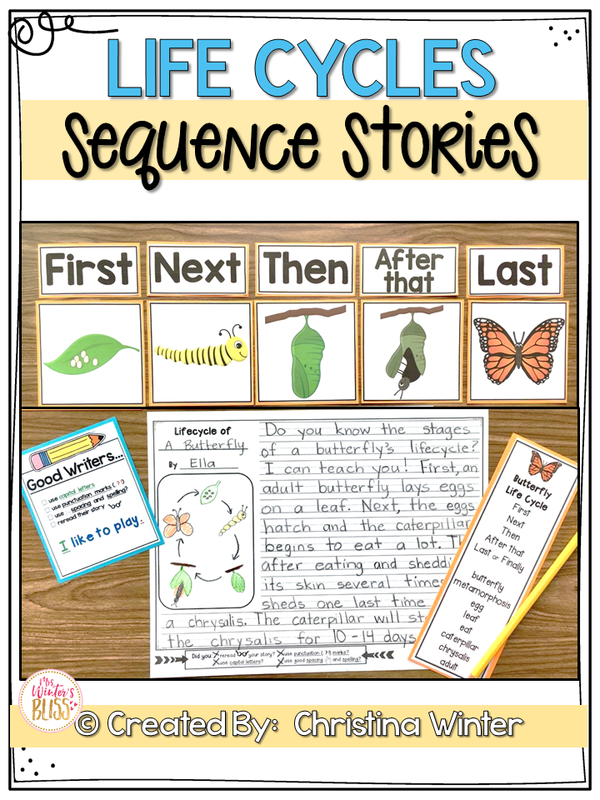 They find out how sequence is important to the plot of a story, and how sequencing helps order events or steps in an informational piece of writing. 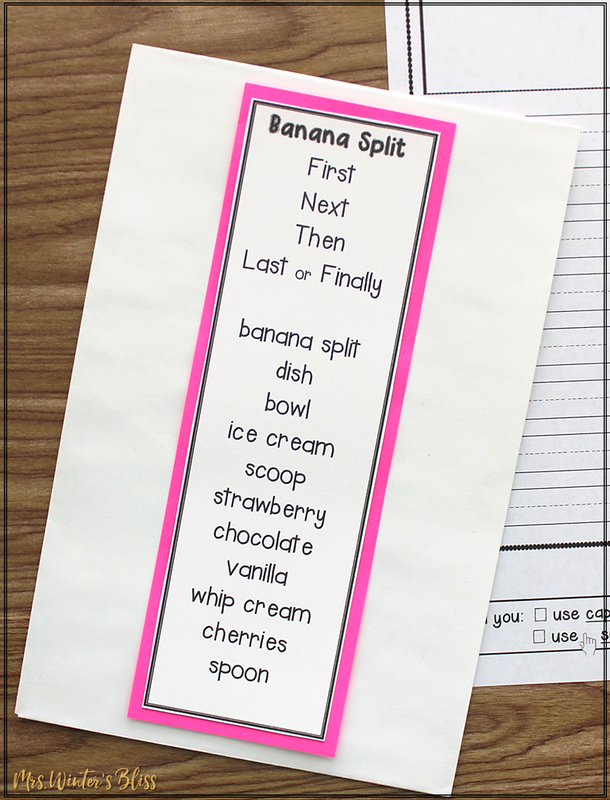 Students will see how transition words like first, second, third, next, then, before, after, meanwhile, and finally signal the order in which things happen. 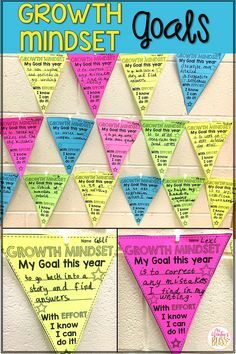 They will also discover how to use a flowchart to take notes or use a timeline to keep track of dates or events as you read. In addition, I love to use story sequence writing prompts when I’m teaching this skill to my students. 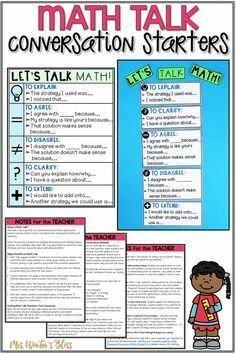 There are many different ways to use this one resource. 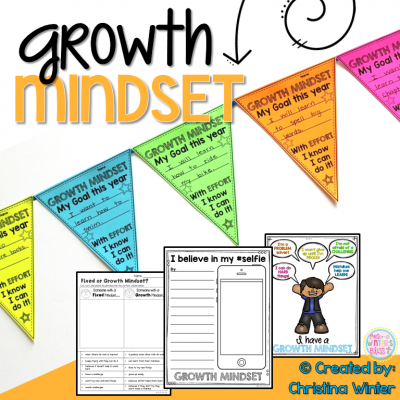 It’s engaging for students and is naturally differentiated to ensure all students shine! 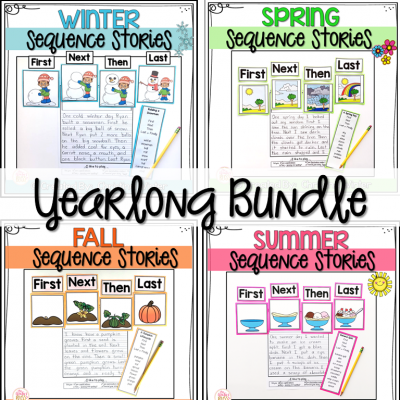 I’m excited to share with you some of the ways I have used this resource to teach my students sequencing! Before asking students to try anything new on their own, I model it for them. By modeling explicitly, I am setting the standard for the quality of work I expect from my students. 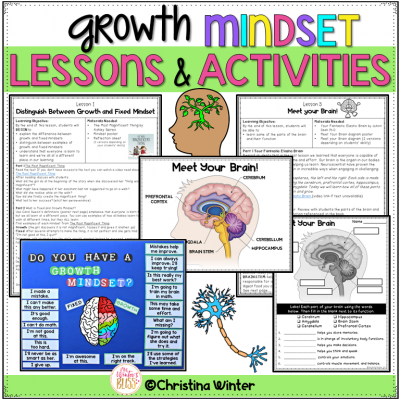 I also have the opportunity to offer suggestions for projected problems that may arise while working or propose extension ideas for my students who are more capable learners. 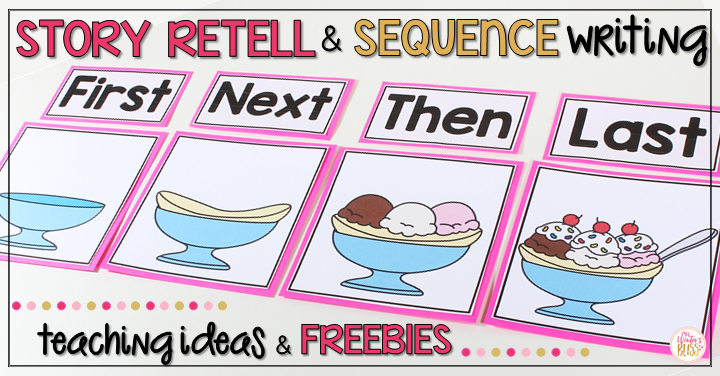 I use the large sequence picture cards to order events in my pocket chart and then use the vocabulary word bank and transition words needed to tell my story orally and later in writing. Students choose a story to order using the picture cards, then practice their language skills by orally telling a story. My students are so engaged at this center. I offer them the choice to work together to tell one story as a collaborative team or create their own stories independently. 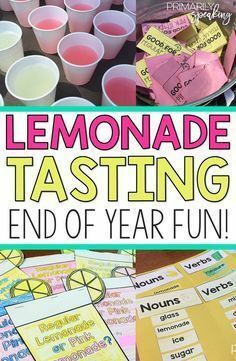 This literacy activity is naturally differentiated. My high achieving students create more complex characters and events in their stories while my students who are just developing create very basic details to tell a shorter story. In both cases my students are successful with this literacy task as they are practicing oral language skills. At the end of our center time, I have my students orally share their stories in front of their classmates. Each story takes less than one minute but the time is well spent as an opportunity for them to show off their oral speaking skills. 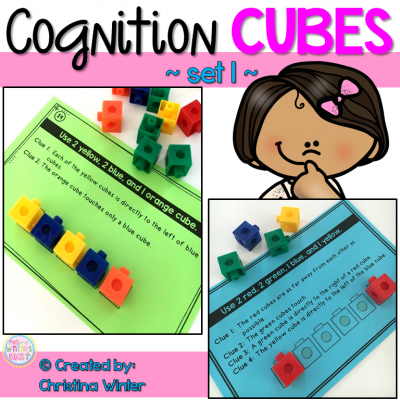 With positive encouragement and practice, even my most reluctant learners love this activity. Independent work using cut and paste worksheets! 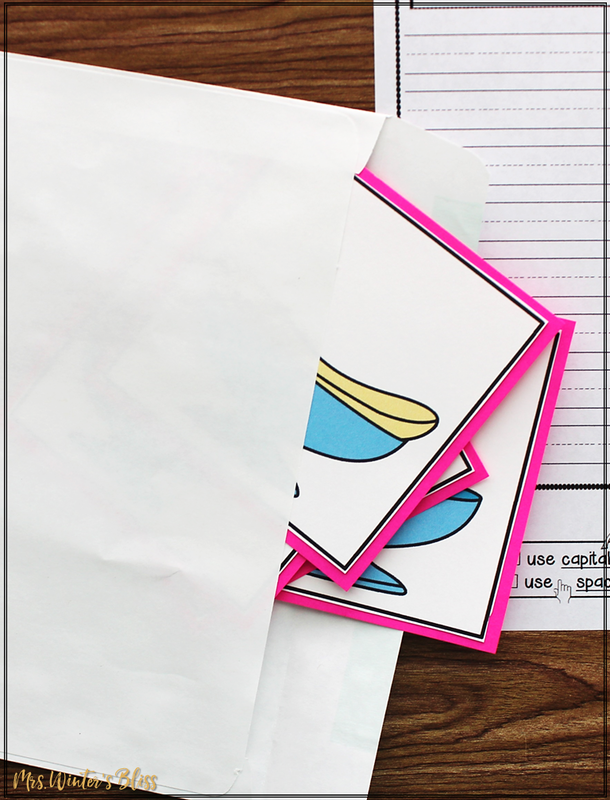 For this activity, students choose a prompt, cut out the sequence picture cards, and paste them in order. I teach my students that while they are ordering the pictures and pasting them down they should use the details in the pictures as a brainstorm of the events they will write about in their piece. 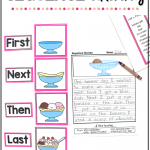 Each worksheet has transitional words and specific story vocabulary word banks as a scaffold of support for them. 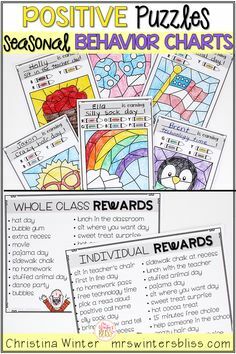 I have used this activity during centers, as a writing assignment when a substitute teacher is at school for me and even as homework! 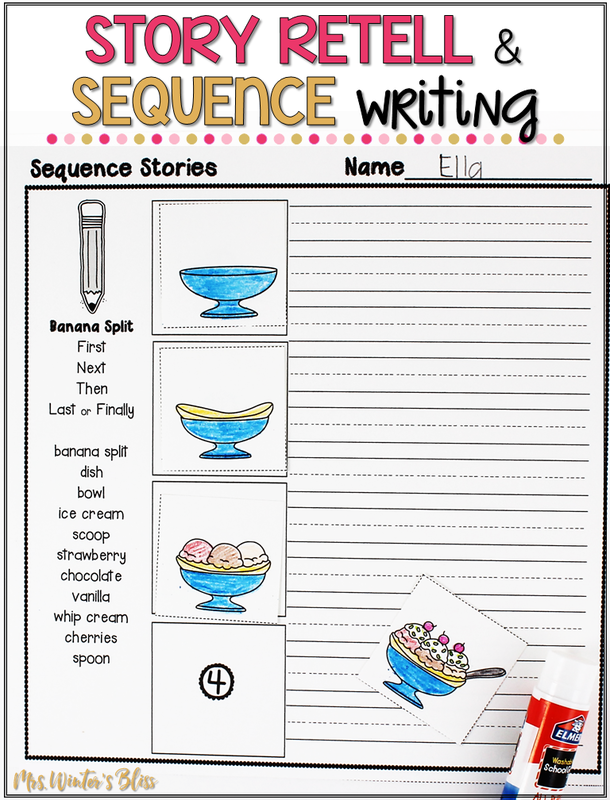 Sequence Picture Cards and Write! I love to give my students choice whenever possible. Their engagement peaks when they have the opportunity to select work that is meaningful to them. At my writing center I have a basket of sequencing prompts in envelopes for my students to choose from. I asked a parent volunteer to help me prep the materials by pasting the specific story vocabulary and transition word bank on the front before I laminated each envelope. Inside each envelope are the pictures for my writers to sequence to create their story. 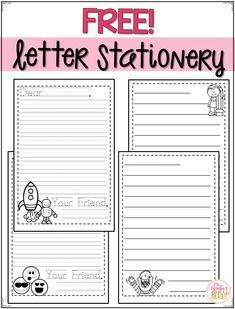 Once the pictures are placed in order, my students use the word bank on the envelope to help them brainstorm ideas or spell tricky words they want to use to describe the events in their story. At the bottom of the page I have also included a self editing checklist that my students are taught to use to check over the conventions of their writing before completing their story. I love that there are so many uses for these sequencing prompts, ALL my students feel successful because of the scaffolds of support. 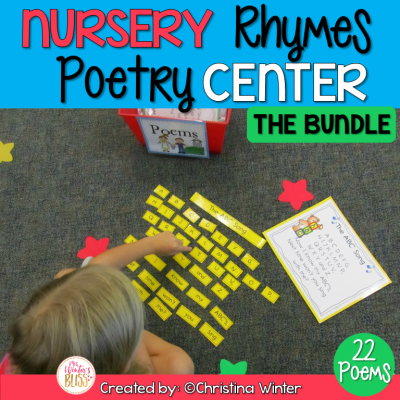 If you are excited to get your students started on sequence stories, I created a few bundles that will save you tons of time so you can get started with this meaningful, yet engaging center in your classroom today! 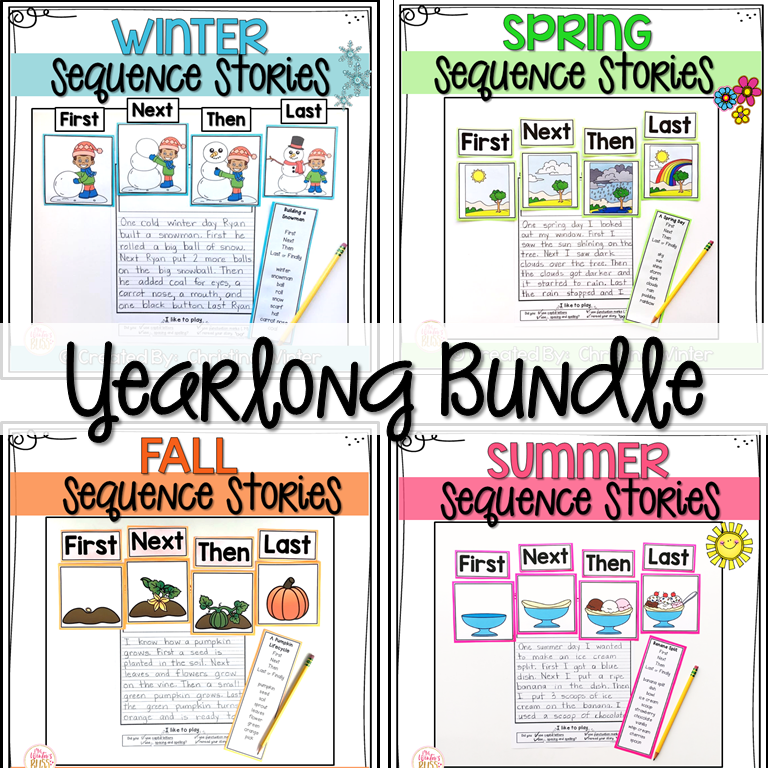 The Story Retell and Sequencing Prompts Year Long BUNDLE provides 25 high interest, seasonal topics for students to sequence. 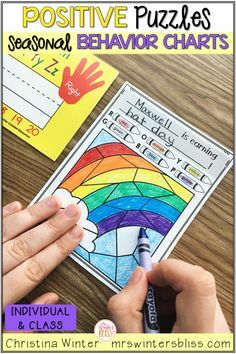 For each story there are 4 large picture cards, transition word and story vocabulary lists, and cut and paste story worksheets for each of the 25 prompts. Just click the image to take a closer look! The Plant and Animal Life Cycles Sequence Prompts include 11 plant and animal life cycle prompts. 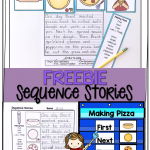 Each story has 5 large sequence pictures to order, story vocabulary lists, and cut and paste story worksheets for each of the prompts. These prompts are a perfect resource to easily integrate writing with science topics. Click the image to take a closer look! 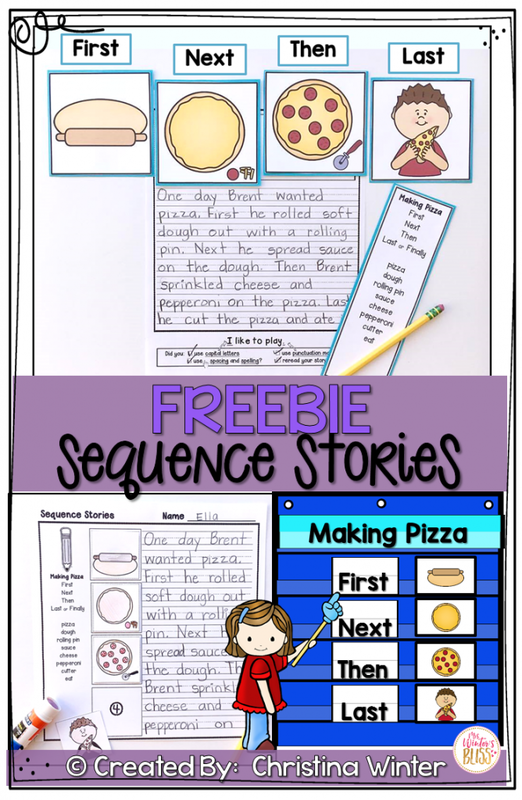 If you’d like to try out a sample of this resource with your students download the Making Pizza Sequence Story here. The ability to sequence events is a skill that is so important. It transfers to every subject area and is used at every grade level. 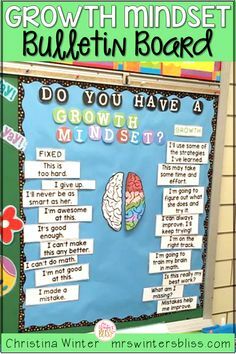 It also helps students to become more organized and focused in their thinking. 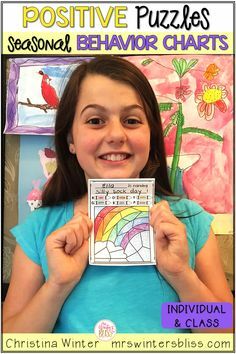 If we can give our young students a firm grasp of this skill in their primary years, we are most certainly helping to set them up for success in years to come!